Get In On The Raid! I was told I needed to watch The Raid: Redemption, a 2011 movie released by Sony Pictures Classics, because it was so similar to Dredd, and since The Raid technically came out first in 2011, Dredd ripped it off. The big difference is that The Raid is actually an Indonesian martial arts movie, and Dredd is more of a standard action move. 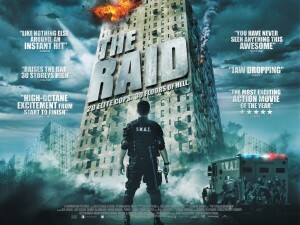 The Raid is good, but Dredd did not rip it off. The story follows a SWAT team as they invade a building of criminals in a Jakarta slum to pull out an drug lord named Tama Riyadi. The SWAT team seems to have the upper hand at first, but soon things spiral out of control, and they are trapped in a building full of criminals that want to kill them. You would think that with such a straight forward plot that this movie would make sense, but the characters are always doing things that defy logic. “Hey I could pick up that assault rifle since I am out of ammo, but no I am fine just punching people.” “Or hey I have a gun and that guy has a machete, but he looks mean so I am going to hide.” Then there are some plot twists that are not really completely explained. You get the gist, but it feels like they left something out. That being typed, the story doesn’t matter. This is a martial arts movie, so you are watching this movie for the crazy fight scenes, and the cool choreography. The Raid has them in spades. The fights were visceral and tense, and the stunt men knew their craft. This may not have been the most well acted movie ever, but these men were selected because they knew how to throw some fancy punches. While this movie is a little incoherent, it is a blast to watch. The action never stops. 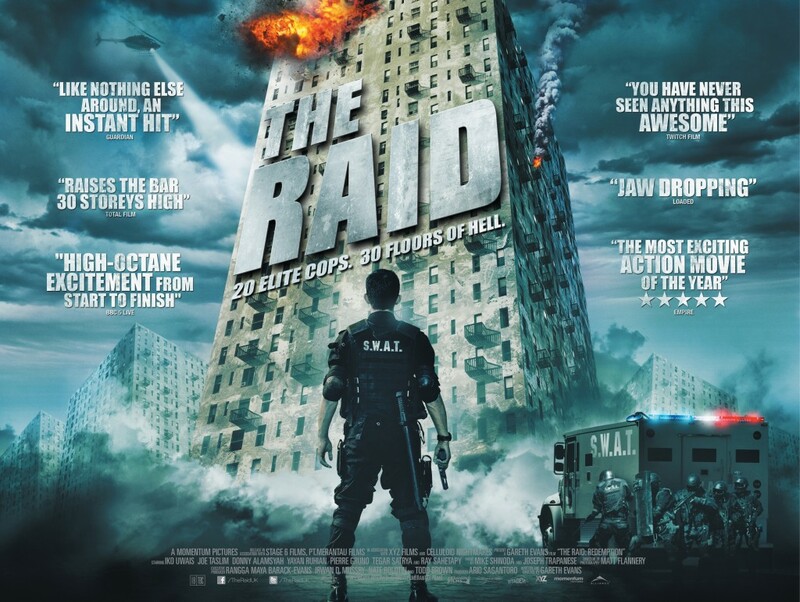 The Raid is a perfect fit if you are in the mood for a straight up dumb action movie, or if you want to appear classy because you watch foreign films. Previous PostPrevious Figuring Out Sherlock Season 3! Next PostNext Seahawks Win Super Bowl XLVIII!